I have come across recipes which are made into healthier versions of the original. My problem is accepting the word “HEALTHIFIED”. There is a particular site which uses this and a lot of the readers dislike the term; I am included. This could be a case of “verbing adjectives”. Whatever we call it, something is going on. Apparently just about any word can be turned into an -ify verb and then back-formed into a -tion noun. How have you greenified your home? You’ll now receive a “Friendifcation Notification”. . . when a member adds you to their friends list. our current MySpace policy is to friendify anyone with an interesting looking avatar . . . If you get friendified by someone you don’t know, it’s probably because you have a cool avatar. So we have blog-this and blog-that, basically everything has been blogified . . .
I’m wondering when the schools are going to get around to grammifying their students. I’d say that a little grammification is in order. The fate of these new -ify verbs is uncertain. Many of the writers who are using them are uncomfortable enough to enclose them in quotation marks. Writers and speakers who don’t want them to catch on can choose not to use them. Whilst I don’t have an issue with this per se, it can serve to narrow vocabulary, and “blandify” it. The possibilities for thinning out all those surplus, and irregular words are endless. Argh – the urban dictionary has a definition for bigify. It’s happening already! Reminds me of 1984. Our language is adapting “ungood-wise” to the times. 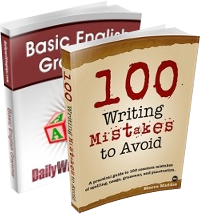 My first “writing tips” e-mail contained the instruction “Click hereto down load your free grammar book” However, when I tried to click, the link was not active. Please re-send. “Pornify” and “pornification” come to mind. I don’t have an objection to those, because they have useful meanings and I can’t think of existing, simpler equivalents. Some of the ones you cite above are pretty absurd, though. I’ve been known to use “destinkify” and “destinkification” to refer to bathing, but that’s…ah…a joke. Now my husband does it too – makes up silly, unnecessary words. It’s fun, but I wouldn’t use them in writing. But isn’t English fabulously inventive and versatile! In time, perhaps use of “friendify” instead of “befriend” will die out. Language evolvifies and adaptifies with the times. I’m sure there was much wailifying and gnashification of teeth (gnashifying?) when the verbs “to telex” and “to fax” entered the language. Both are fadifying away into archaic relics. Is it all a case of laziness, or is it a case of trying to ‘sound important’, or a little bit of both? Either way, I’ll take the extra couple of seconds and formulate a sentence instead of making up a word. Your item on the word “healthify” reminds me of my dislike for food that is described as “healthy” when I feel that “healthful” should be used. Yes, the chicken looked very healthy when it was running round the farmer’s yard, but now that it sits fully cooked on the table I prefer to think of how healthful it will be. “Beautify” is common, “uglify” less so. But if one is acceptable, why not the other? On the other hand, I will resist “fryify,” which, I suppose, is the action of making something fried. 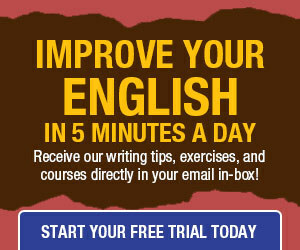 The problem here is making a new verb form from an existing verb. depends on how it rolls off the tongue. Healthify makes me want to throw up.